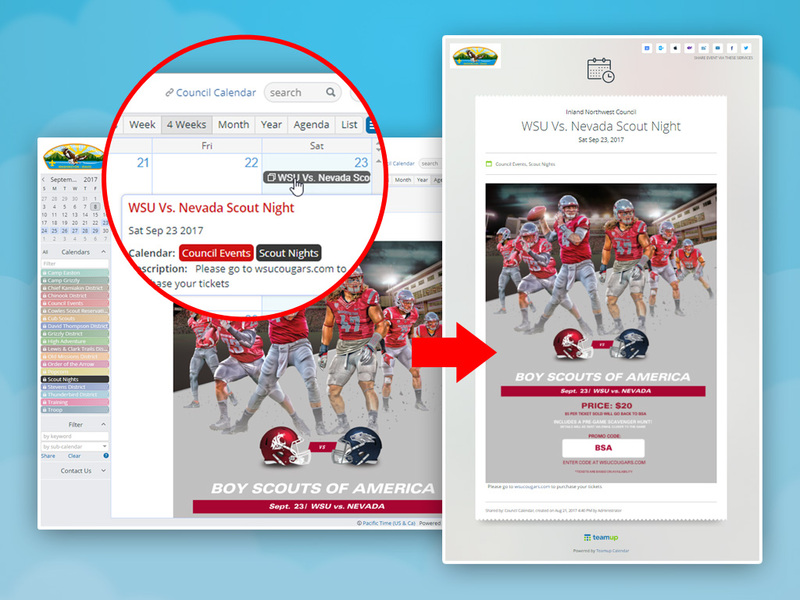 Click All to view all events or none. 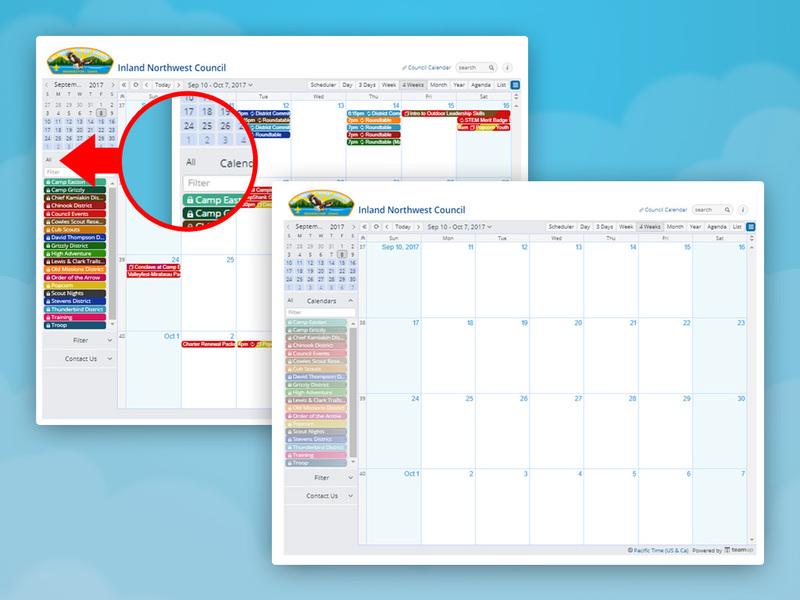 Ever wish to have blank calendars at hand while brainstorming and planning at meetings? 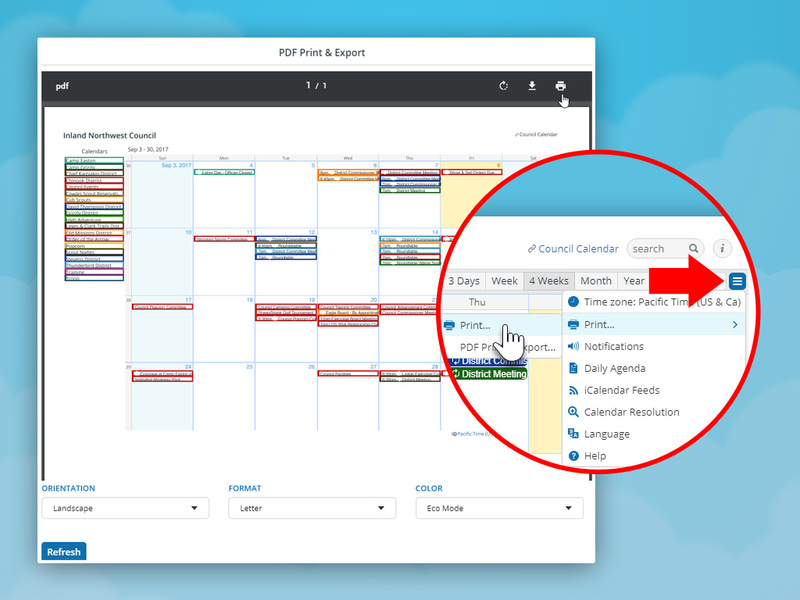 Hide all events on your Teamup and print any calendar grid as you need. 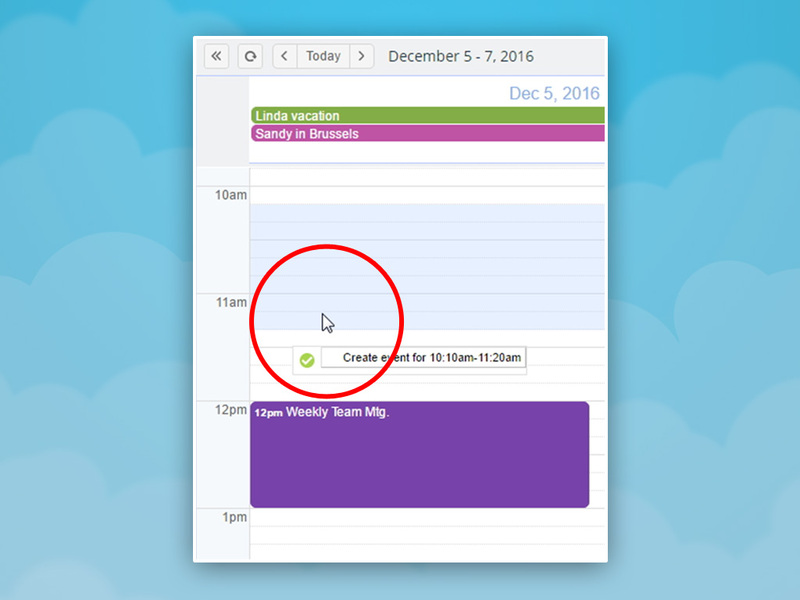 Mouse over a sub-calendar and click the eye icon on the right to show events on this calendar only. 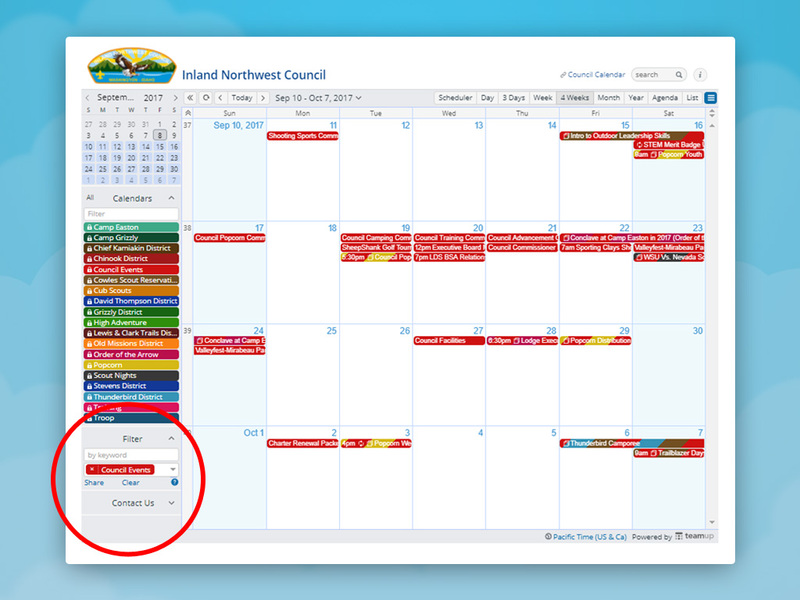 Click another one to add events on the selected calendar to or remove them from the view. Filter sub-calendars from the calendar list by typing in a full or part of the word, e.g. 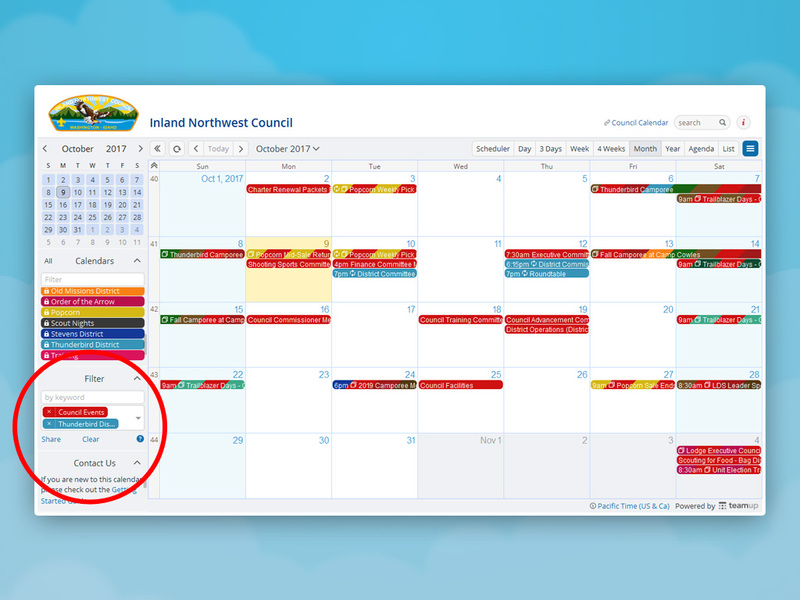 type “council popcor dist” to find the calendars Council Events, Popcorn, and all district calendars. 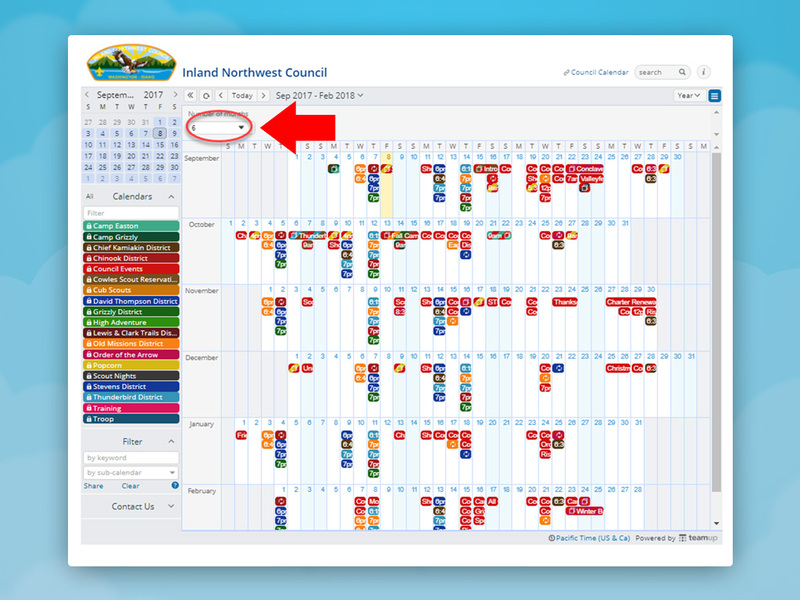 Click on the found calendar to toggle to view or hide the events on these calendars. 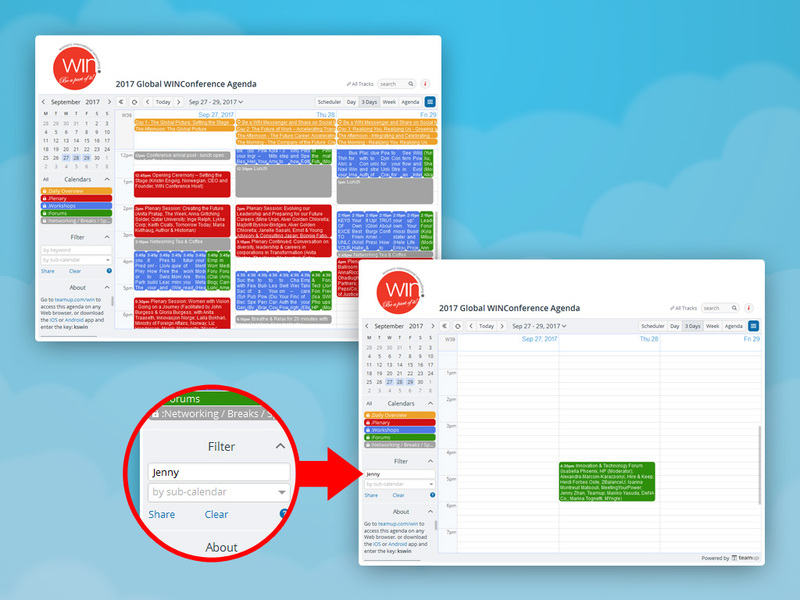 Filter by sub-calendar to show all events on this calendar. 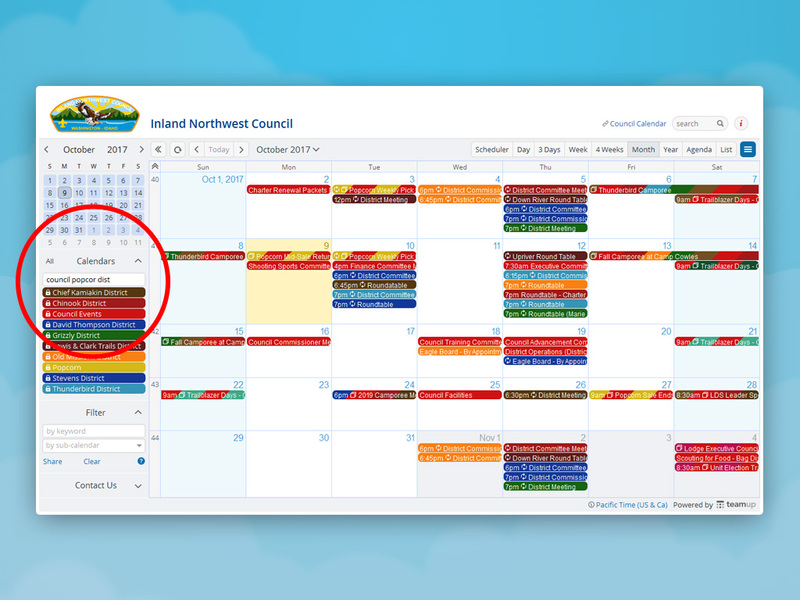 Note the entries with color stripes, indicating those events have been assigned to other sub-calendars too. Click the link Share to get the URL for the filtered view. 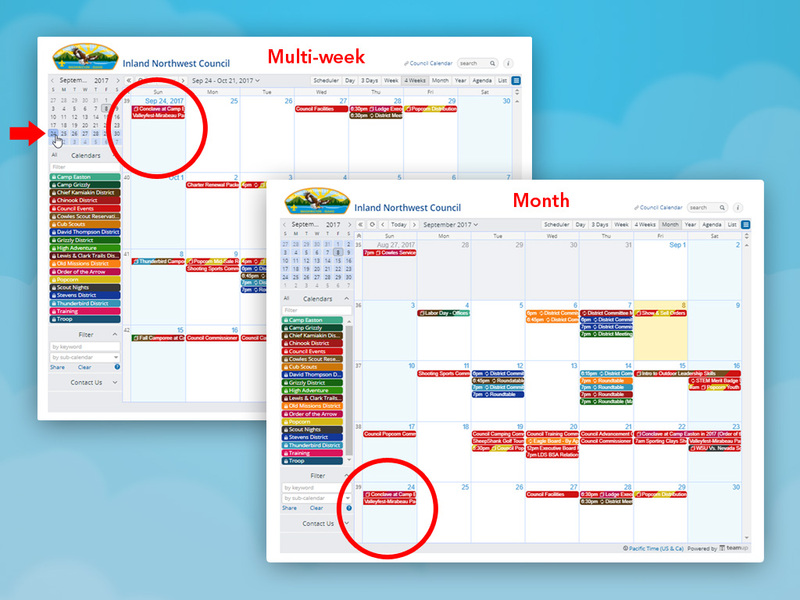 Show only events on the calendar Council Events that have the keyword “Camp” in the titles. Inspiration: Think of an event calendar listing events in New York, Chicago, and San Francisco with a sub-calendar for each city. You can filter for all events in New York that are for families – New York AND families, with families as the keyword in the event details. 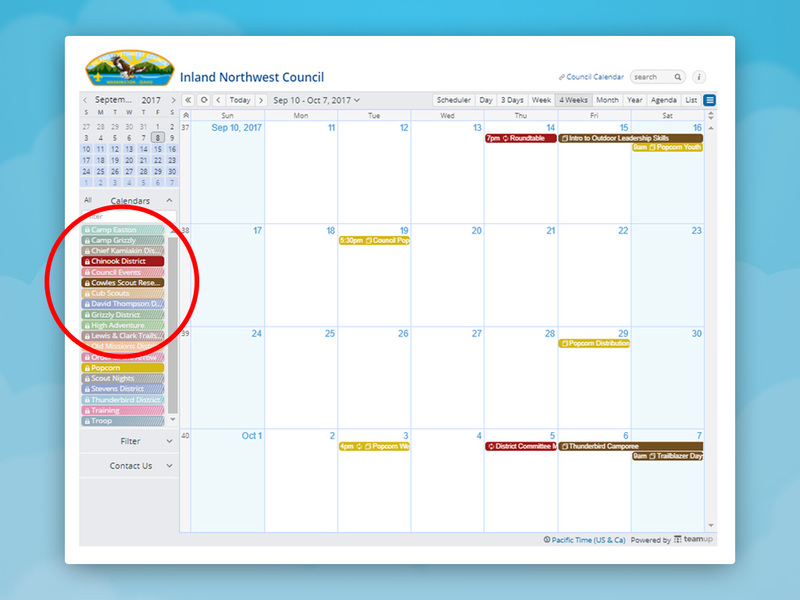 The selected date (for many the default is today) is always on the first row, showing the future 4 weeks from that date onward (note the mouse on Sept 24). Compare to the Month view on the right. 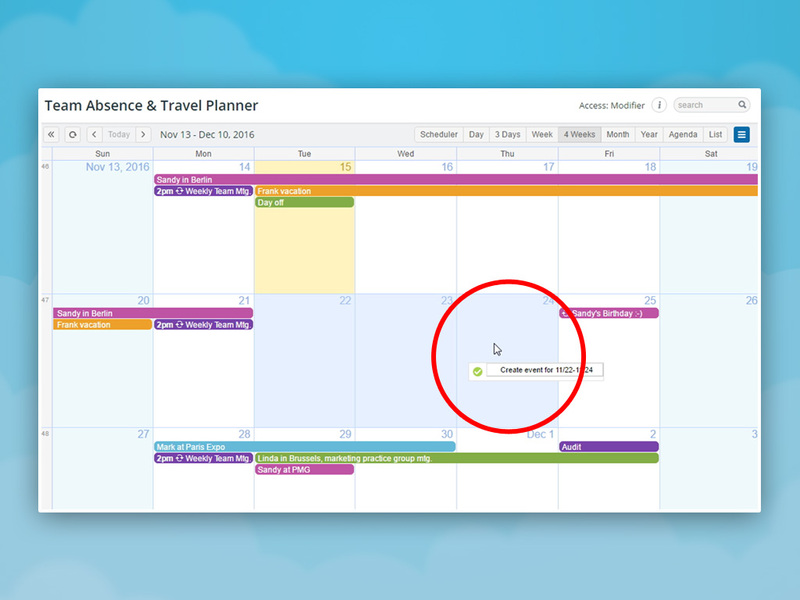 View events of up to one year at once. Choose any date range for display from 2 to 12 months. The default date range can be configured in Settings. View event as a page. You can view the live page online. 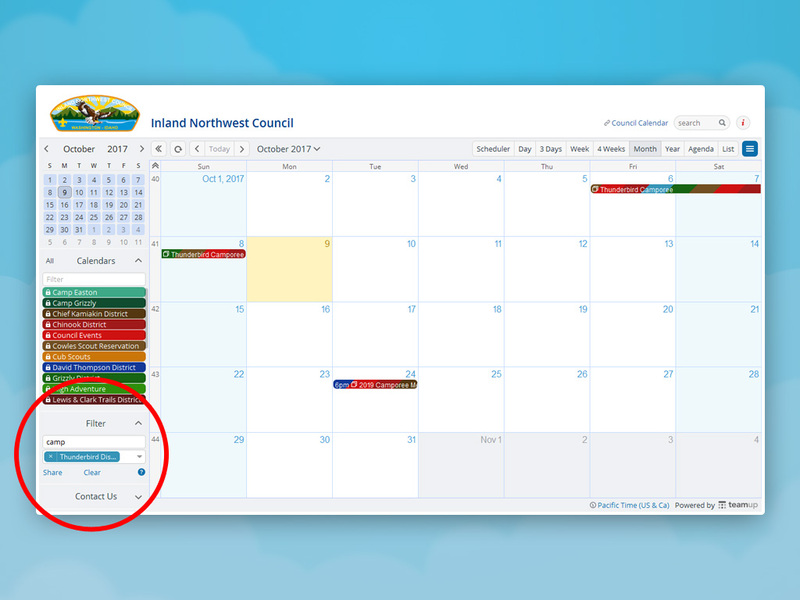 For All-day or multi-day events, use the Month or Multi-week view, click or click & drag over the relevant dates, and release the mouse to open the editor. Copyright © 2014 - 2019 Teamup Solutions AG. All Rights Reserved.